Upgrade your residential or commercial property with professional granite services. 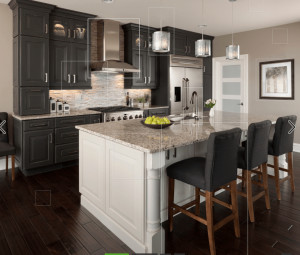 Granite is a hard stone that is granular in texture, and while it makes a beautiful addition to any home or business, it does require special care and consideration in order to preserve its beauty. Restoring granite is considered a difficult task in the industry, as it requires a wealth of experience to perform granite restoration properly. At Concrete & Marble Transformerz, we train our technicians to handle a variety of problems that commonly occur with granite surfaces. We can breathe new life into your granite flooring or countertops, regardless of where they’re located. You can learn more about each of our services below, and you can get in touch with our granite restoration experts by calling 562-206-2729 or by filling out our online contact form. Granite is an extraordinary material, but it does require regular polishing in order to look its best. Between scratches, scuffs, and other forms of minor damage that occur over time, your countertops can easily become worn in a matter of months. Granite flooring is even more vulnerable, as even the lightest foot traffic can mar and damage the beautiful finish that was created during the installation. Our granite polishing and restoration services treat superficial scratches and minor etching that will inevitably occur throughout the life of your granite. Our process leaves you with a deep, natural shine that you will not be able to achieve with other methods. We have provided our granite polishing services throughout Southern California, and we’ve helped hundreds of families in Los Angeles and Orange County restore their granite with our professional granite polishing and restoration services. If you’ve had your granite flooring or countertops for a number of years, then they might need some serious work to restore their original beauty. At Concrete & Marble Transformerz, we use state-of-the-art granite restoration techniques to make the granite in your home or business look like it did the day it was installed. From deep cleaning, sealing, and polishing to restoring a slab that has been seriously damaged, our team is equipped to handle it all. Accidents are inevitable, but that doesn’t prevent them from being distressing. Granite is a significant investment, and if yours has been damaged by an accidental spill, drop, or another form of damage, then it’s important that you choose the best granite repair company for the job. No matter how extensive the damage may be, we’ll work to bring your granite surfaces back to life and provide you with an ongoing maintenance plan that will keep them in pristine condition for years to come. A strong granite seal is your first line of defense against spills, scratches, and other minor forms of damage. It also creates an attractive and eye-catching shine that only enhances the natural beauty of the surface. 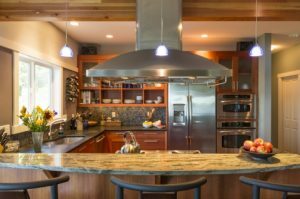 While many home and business owners choose to perform granite sealing on their own, the process is complex and requires significant attention to detail. Instead of trying to seal your granite surfaces on your own, let a member of Concrete & Marble Transformerz come to your home or business and provide you with a seal you can depend on. We know that you’ll be impressed with the results! We’ll also provide you with the information you need to maintain your granite moving forward. Whether you need extensive granite repairs or recurring buffing and polishing, the technicians at Concrete & Marble Transformerz have the skills and the state-of-the-art technology required to get the job done correctly. Our work ethic is unparalleled and our results speak for themselves! Find out why we’re California’s Top-Rated Local® restoration company by scheduling an appointment today!